Life demands boldness and confidence, but sometimes it's hard to embrace that. These are a cute reminder to "BE" themselves or to "Be Bold" or brave or kind or still or whatever else they need to "BE", with these inspirational women's "BE" collection. 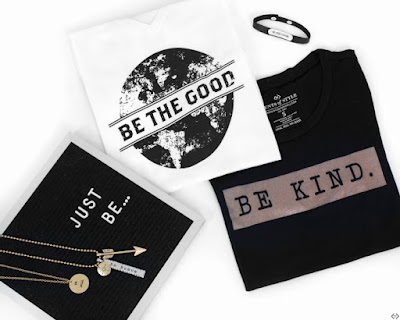 Cents of Style is offering $8.00 off of their "BE" series graphic tees, sweatshirts and jewelry. These pieces are perfect daily reminders of who and what you want to be! They can be dressed up or dressed down and will quickly become an essential go-to in any wardrobe. These also make great gifts! The code is BEBOLD and it takes $8.00 off the lowest marked price! Don't forget the FREE Shipping! The code is active 07/25/18 until 07/28/18 until midnight.